Chelsee Taylor has been in love with her boyfriend, Max, since they started kindergarten together. She has no idea that high school graduation will be the last perfect day of her life. After a tragic car accident, she refuses to accept Max’s death because she can still feel his presence. No one believes her and she is completely alone. But all of that changes the moment she meets Blake Andersen. It’s not just that he believes her . . . or even just that he’s so understanding . . . but why is Max’s presence so strong when she’s with Blake? Eternal Mercury is two intertwined books in one. Book one follows Chelsee’s bittersweet journey and book two uncovers Blake’s story of redemption. In the end, it is Max who will inspire them both to trust fate, live life, and finish well. When I first realized that I wanted to write a book, I knew that I wanted it to be different. Shortly after I began brainstorming for that unique idea, a car-crash scene on a mountain highway started playing in my head. Not only was I looking for a unique story idea, but I was also looking for a positive message. I began to wonder if, instead of something scary like a ghost, could something good be left after someone died? The answer became clear to me: organ donation. What could be more beautiful than that? And what could be more romantic than true love that could survive the boundaries of death? To my surprise, the idea turned out to be more realistic than I expected. Through research I discovered the phenomenon of cellular memory. Cellular memory is when people who receive transplants take on traits of people whose organs they receive. It’s rare, but when it does happen, it can come in the form of food cravings, changes in musical taste or hobbies, and sometimes even glimpses at other things about the donor. Although the level of cellular memory I portrayed in Eternal Mercury is fictional, the need for organs definitely isn’t. It’s hard to think about death, and the common misconceptions about organ donation don’t help. But by understanding the facts and then making your decision known, you just might be able to bring something good out of the bad. That part of Eternal Mercury isn’t based on fiction. Over 100,000 people, including kids, are in need of transplants. Over 20 of them die waiting each day. One person can save up to seven lives by donating their heart, liver, kidneys, lungs, pancreas, and small intestine. That same person can improve the lives of many others through the donation of tissues such corneas, skin, veins, tendons, ligaments, and bones. You won’t receive less medical care if you decide to become a donor. Doctors and nurses make every possible effort to save their patients’ lives and will not even consider organ donation unless a person dies. Income, social status, and race are not factors in deciding who receives organ transplants. You’ll be helping people who need it the most and your family will not be charged for the procedure. Most major religions support organ donation. I’m not sure that there could be a more loving or selfless gift, but don’t be afraid to check with your spiritual advisor. Almost anyone can be an organ donor. Age and/or medical history don’t necessarily disqualify you. The most important thing you can do is let your family know whether or not you want to be an organ donor. No matter what you decide, telling your family will save them from the pain of trying to guess your wishes at a time when that’s the last thing they need. And if the choice is right for you, to let someone else continue on when you’ve reached the end down here, don’t think about what it means for you; instead think of the incredible gratitude you’d feel if someone did it for you or someone you love. Elaine Pinter lives in Boise, Idaho with her husband and son. When she’s not hanging out with them, she’s jotting down ideas for her next novel in the tattered notebook she carries everywhere. Her writing journey began in June of 2012 when a reading spree set off an unexpected chain of events. After poring over the pages, her own ideas began to appear and she found herself glued to her laptop after her family went to bed every evening. The late nights continued until her first two YA romance novels, Eternal Mercury and Between the Starlight, were published. She’s one of those hopeless romantics who believes love always wins and that the best stories are the ones that drag you through the tears and reward you with a smile when all the pieces fit together perfectly in the end. Here we are again with a second tour for my newest novel titled Me Tarzan–You Jane, this time organized by the talented Kathy @ I’m A Reader Not A Writer. To get a tour organized by Kathy is like winning the lottery, and authors around the world who know her know what I mean by that. Kathy’s efforts in putting together my virtual book tour paid off. Over 40 bloggers signed up to feature my novel. To all of them a heartfelt thank you for your interest, time and willingness to make this tour a phenomenal success. Nominated for the 2015 Dream Awards, Me Tarzan–You Jane is offered for the month of February at only .99cents. With over 180 ratings on Goodreads and over 90 reviews on Amazon, Me Tarzan–You Jane is on its way to stardom. When I give my heroes wings and flight. These lovely ladies have reviews for my novel. Curious what they have to say? Hop over and see it for yourself (not to mention beautiful blogs and a chance to make more friends. 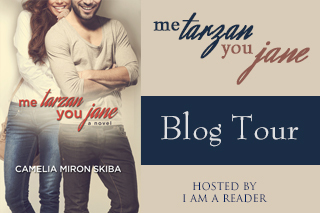 I’m excited to kick off not only a brand new week but also my virtual book tour for my newest novel Me Tarzan–You Jane organized by the fabulous Julie @ ATOMR Tours. A heartfelt thank you to Julie for her hard work and to all bloggers who signed up for the tour! I couldn’t do it without you. I’m humbled by your willingness to read and find room on your shelf and in your heart for my novel. 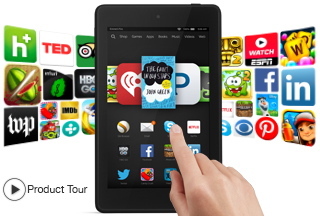 Anyone purchasing the book during the tour and sharing the purchase on their FB or Twitter account, then leaving a link to their posting in the comments here, will be entered in a drawing for a Kindle Fire HD6. The winner will be announced on January 17th here on my blog.